Note this is posted early! Don't miss the new Moon forecast on the post below. July 24th to 26th in particular! Happy summer to all! This Leo Moon has unusual, opposing forces at work with Saturn and Uranus chiming in at once. The late day or evening aspects, depending on your time zone, occur at 8:14 pm EDT with a trine to rebellious Uranus followed by a square to rule abiding Saturn. Parents and teenagers will power struggle and other similar conflicts also result. Uranus and the Moon are out of control with fiery, bold energy for change, personal statements, breaking the rules, and wild abandon. Be cautious since things may move fast and with force! Saturn and the Moon in fixed signs depict unyielding opinions and strong wills in conflict or trying to work things out. Great effort is called for to find agreement if there's discontent. The tendency today is to do your own thing. There's a risk taking vibe, but be careful about that. Uranus comes on awfully strong. Precautions are a good idea. Enjoy in moderation. The Moon is void of course all day and moves to Virgo at 11:37 pm EDT. Venus opposite Pluto, 2:39 am EDT is in effect all week. See tomorrow's forecast for the lowdown! Today's color is yellow. Venus in Cancer opposes Pluto in Capricorn. Face relationship realities. This may include a deep, in some cases uncomfortable, conversation. If it happened last night, the effects may linger today and more questions and curiosities surface. Pluto asks we dive into the unknown, the mysteries and the past in some cases. That can mean fears crop up or old wounds resurface, hopefully for more resolution and healing. The Virgo Moon may be on your side if things are surfacing and strong since we can let go more easily and process soulfully and creatively with Venus at work. Find peace with something or someone, not by skimming over a problem, but by going for the root and the answer, gently. It is a social day and evening for gatherings. Today's color is navy blue. The Virgo Moon is in harmony with Venus for good feelings and attitudes toward each other. Friendships and collaborations benefit! We work together well on days like this. Saturn contributes energy too, and with Scorpio and Virgo tendencies accented, get things done and details worked out. Concentration, harmony, and helpfulness are some key words. This is a simple forecast for a day when you can streamline. If you're not sure what to do, clean, redecorate, or go over financial plans. Today's color is pink. Mercury's last move in Cancer is a sextile (favorable) to the Virgo Moon. It's nurturing and can help us give or receive advice or support. Solve a family or home related problem and get those kinds of tasks done too. Contact people who can provide what you need including work you need done at home or something health related. Give criticism constructively and sensitively. Contracts are favored. The Moon is void 10:47 am to 12:09 pm (take an early lunch break?). The hours following are Libra Moon time for mediating and study or information gathering to make your best judgement. The Moon and expansive Jupiter in Leo work together helping with growth and making the right connections. Mercury moves to Leo at 6:36 pm. Networking, celebrating & performing at favored for the next few weeks. Today's color is blue. Last week the Leo New Moon meant to propel plans and projects, relationships and growth. How are you doing nearly one week later? The first day of August is about partnership, for one. Libra is the sign of couples, duos, and finding balance between two sides. Venus, the planet of love, is active today, square the Moon and Uranus and in harmony with Saturn. Work out an agreement on a serious relationship matter. Commit. Be willing to go to extraordinary lengths if something is worthwhile. Don't be thrown off course or respond to petty things, especially in the relationship realm. Mars is square to Jupiter, and oh the effort that might be needed for growth and new learning! Passion, enthusiasm, and power themes flare with this square. It's one of extremes, both initiative and resistance. It could bring luck & energy with something you've been trying to get momentum for: Leo, in home life, Scorpio in career, Cancer, money and employment, Taurus, home and married life or other partnership. Yet it is not a "piece of cake". There's work to be done and both action on things and willingness to learn are required. For all signs, put your focus on what you most hope to expand, not only this week, but this year. Sagittarius, keep your plans quiet so they're not thwarted. Aquarius, your career and relationship have equal priority and so much emphasis now. Make sure both are well taken care of. Today's a busy day in the zodiac. Void of course Moon 10:58 pm to 10:57 pm EDT tomorrow. Wear purple. Yesterday's forecast also applies today in every way. Re-read it and add Mercury as today's strongest planet, squaring Mars and meeting Jupiter. Everything Mars/Jupiter related in Friday's forecast gets a chance to solve, resolve, or get bigger and more powerful due to Mercury. Mercury now in Leo is expressive, dynamic, and rules performers, teachers, those who work in media especially as on screen or air talent, and also children and the business surrounding them. Be creative with words and ideas today. Think playfully even in problem solving. Let rules go a little and expand the limits and see how things change. Capricorn, work at your dreams from the financial standpoint. Can you work out a plan to make travel or a new business or education happen? Is there a person or place you can get support for your plan? Gemini, Mercury is your ruling planet and dynamic with Jupiter and Mars, your business plans get a spark and a change of routine is refreshing. Jupiter rules Sagittarius, and archer this is your travel year. You must expand your experiences to feel fulfilled and feed your soul for a year until next summer. If the plan is more future than now, start working on a way. You may succeed in international business and education this year too. Tonight's Scorpio Moon moves in at 10:57 pm. Today's color is gold. Nearly every planet is at play in the zodiac today. Mars is the force to be reckoned with or to fuel you. In Scorpio, Mars is in one of his strongest zones. It's a passionate influence, and passion can range from great love or energy to destructive anger or envy. If you need to cool it down a bit, take yourself out of the situation and get away-like a big kid time out. Some solitary time, natural surroundings, or spiritual pursuits will be just the right thing for some. If you're drawn into groups and events though, keep your cool, detach from the craziness, be a bit mysterious, and find someone to chill with. It's a good day for personal priorities, focus, and action on important things. Minimize distractions, gossip, and telling yourself stories that may not be true. Today's color is maroon. The Moon starts in Taurus and moves to Gemini at 12:36 pm. Void of course time is 10:12 am to 12:36 and those hours are good for cleaning your desk, reading but not responding to emails and memos quite yet, and taking some down time if needed. The early hours are solid for final decisions as the Moon and Sun form a sextile in Taurus/Cancer at 10:12 am. Gemini Moon marks a multitasking time for the next couple of days. Network and combine friendly meetings, social plans, and business negotiations. Gemini Moon aligns with Jupiter in Leo for events and festivities. Meet new people. Put names with faces. Respond to invitations with a yes! Today’s color is yellow. Mercury is opposite Pluto today, and with Saturn now direct, serious decisions and conversations take place. Putting something to a rest, finishing tough processes and negotiations, and deciding once and for all can be the result. Face fears and old wounds and maybe this becomes a pivotal day or week. The Moon is in Gemini for versatile problem solving and ability to adapt. The Sun moves to Leo at 5:41 pm EDT and the height of summer begins. This is the 2nd of 3 phases of the season, and Leo birthdays begin. Tonight can be festive, full of surprises, and changes of mind or heart. Wear gold. The Moon in Gemini is in harmony with Mars just as the warrior planet makes his last moves in Libra. It’s been an extended time for Mars in the sign of justice and partnership, and for many it has not been easy. Reaching consensus, mediating effectively, and finding fair outcomes is favored now. It’s also a good day or evening for social plans. The Moon is void of course from 8:53 pm to 10:59 pm EDT and moves to Cancer then. Today’s color is light blue. This is an eventful day in the zodiac as the Sun meets Jupiter and Moon meets Venus. Relationships on the right track seem to benefit most! Engagements and marriages are well timed. This can extend to business partnerships solidifying too. Leo is much in favor and for Aquarius love and commitment is highlighted! Cancer and Capricorn are signs deeply impacted with positive vibes for love and relationship. In other areas of life, Saturn and Mercury are activating resolution. New information around important decisions and situations may come as a surprise. Something that seemed to go by it’s due date may come together unexpectedly. Everything is stirred up and all signs are impacted by today’s chart. Try not to rule anything out. During Cancer Moon, sometimes, the tendency is defensiveness. Know when to play offense or for the team instead. Can you protect your interests while expanding rather than closing doors? Today’s color is orange. This day prior to Leo New Moon is set up by Moon trine Saturn and meeting Mercury. Finalizing, decisions, and continuations of this week’s serious matters and important priorities are likely. You may wait until Mars changes signs to make your move or commitment, and the New Moon time is good for change. However, today is still about setting the stage, finding the information and getting all in order. Communicate clearly, discuss the topics pending or about to require action, and come to agreements. Leo, you are on the cusp of one of the finest New Moons of the year and it’s in your sign. Make it count. Cancer, this is true for you in employment and money matters. You could use this time to make an investment or change roles at work. Scorpio, a bigger career move and public attention in the next few weeks is yours for the taking. Libra, it may benefit you to make some new friends, change your social scene or start networking for what would benefit you. Friends can be helpful now. Taurus, a shift at home or with family is sparked at by Leo New Moon. Maybe you’re preparing for an August move or about to find the home you’re hoping for. Cancer Moon today helps us check in with the heart as we make these decisions. Today’s color is blue. I've been priming clients for this New Moon for months and now it's here! A New Moon in a bright, creative sign with no significant planets retrograde for the first time in many months is something to celebrate and most importantly, maximize! The Moon moves to Leo at 10:55 am EDT & begins the lunar cycle, meeting the Sun exactly at 6:42 pm. Write down the things you want to accomplish before New Moon time and take action as soon as tonight! There is no time like the present & Jupiter, the benevolent, magnificent planet team up with the Leo Moon. It gets no better than this! Leo, what a wonderful early (or barely belated) birthday gift you receive from the universe this year! Growth, abundance & wisdom is yours! Leo weddings, businesses, new relationships and families are set to thrive! Aquarius, you enjoy similar benefits from across the zodiac and commitment, marriage, & strong business partnerships in your life thrive for 13 months! Point the compass right in that direction and the universe conspires to help you make it all happen! Libra, supportive friends and mentors appear, Sagittarius, your world opens up so much you may find yourself in another state or country teaching, getting a new degree or certification or doing business by next summer or much before. Your ruling planet in your house of exploration wants to take you places! Cancer and Scorpio are favored in business and employment. Capricorn, you could receive gifts, grants, family legacies or go into profitable business with a partner or family member. These possibilities are just beginning and this New Moon strongly activates, so even if it's a small step or contact you reach out to, do it soon while the Leo Moon is in most powerful mode! Today's color is white. Uranus and Saturn are throwing signals the New Moon's way. Very different tactics and influences present with each planet. Uranus is retrograde and not in his power, yet a curve ball weakly tossed may confuse things today. Be non reactive rather than cause a stir since a bit of news may turn out to be less important or potent that it initially sounds. Wait that out. Saturn is square the Moon and direct, so finally progress can come. Put effort into a situation that's been stubborn and may relate to health, family-especially elders, or intimacy. Prime for breakthroughs, Saturn is now in a better position for dealing with the important and serious matters of life. That influence may be at work tomorrow too. The Moon is void of course from 8:37 pm EDT to 11:37 pm Monday night. Heads up for a Monday business day that may not be as productive as you hope. Personal matters will be priority. Today's color is purple. Thanks to everyone who share the Full Moon Yoga experience with me at Maine Yoga Fest! I hope to see you again soon! RoZoYo™ workshops & other yoga classes and events are listed at www.RoZoYo.com/yoga. This week the Moon wanes & Mars finally leaves Libra! I'm headed to Florida for a while. Be back in Maine before you know it! Find your supporting players today and gather around a common vision. The Aquarius Moon favors teamwork and collaborating, envisioning what’s ahead and acting on shared goals. Mars and Venus align with the Moon from intelligent and fair Libra and versatile Gemini. Benefit from putting great minds together. Explore alternative approaches and find solutions and answers with an open mind. It could be time to let go of an old paradigm or idea in favor of something you hadn’t even thought of previously! Balance and stability are worth seeking today. It’s a good day or night for mixing friendship, socializing and productive work. The Moon is void of course from 3:23 pm to 10:40 pm EDT and those are good hours to relax with friends or be on a casual, fun date. The Moon moves to Pisces at 10:40 pm. Today’s color is blue. The Moon is in Pisces in harmony with Mercury in Cancer. Creative, inspired, sensitive, and even solitary are good words to live by today. If you’ve needed personal time or quiet time, see if you can carve that out for yourself. After the Full Moon, it’s time to restore. The Moon, Neptune and Pluto all indicate that relaxation and release will recharge your energy and spirit. Take some time off if you can and if not, close the door behind you and get things done without interruptions. Today’s color is green. The Moon sails through Pisces. though today is more about being structured and attending to any kind of business or task. Saturn, the Sun and Venus interact with the Moon. Venus forms a square and flexibility with partners may be the best plan. Try not to pressure. Venus in Gemini is flirtatious though, and some relationships may experience trust issues. Try to anticipate how your partner will feel and head off a problem you don’t need. Water sign energies contribute to sensitivity, mood shifts, and artistic inclinations. Paint, play, make music, do some yoga or meditation while also getting the job done, whatever it may be. Jupiter makes the big jump to Leo, a highly creative and extroverted place for the planet of prosperity, philosophy and personal growth. Expansion in big, noticeable ways comes for the next year, especially for Leo, and for Aquarius love and commitment, Aries love and creative possibilities, Cancer and Scorpio with employment and career. More about this is future forecasts! Jupiter shifts today at 6:30 am, so it’s on right away! Void Moon is tonight at 8:57 pm and ends at 12:07 am EDT. Today’s color is purple. Jupiter’s first real move in Leo is a trine to this Aries Moon at 12:07 am EDT. The trine sets us up for surprise news and action around expansion, new business, and doing things up big and bold! This may come into play with anything for Leo, social or adventurous plans for Aries, and love life and friendships for Aquarius. Cancer, this can lead to career news that happens very quickly or unexpectedly. The Aries Moon squares Pluto in Capricorn and Mercury in Gemini, leading to negotiations and unfinished business.A heartfelt approach is called for even in serious interactions. Today’s color is gold. Venus changes signs, moving to the sign of house and home at 10:06 am. Reason to nest, improve your living space, or to visit family comes in the next few weeks. Venus in Cancer is more nurturing for the soul and less outgoing than Venus was in Gemini. If you strayed in a relationship or were thinking about it, the urge is to pull back to long term commitment. If you were overly busy for a few weeks, the vibe is more about being at home and finding ways to enjoy it. Decorate, buy a few new things, refresh the environment, give attention to the garden and cook meals! Aries Moon is wild one today, in contrast to Venus in Cancer, the Moon meets Uranus, opposes Mars in Libra and squares the Sun. This cardinal sign madness is about to dissipate and this may truly be one last blast or that may come next week around the 24th. Unproductive, overly aggressive or triggering things unnecessarily can only go on so long. Avoid the “haters”. Don’t bother with someone who does the same thing again and again that provokes you, makes you sad, or is totally unjust. Go your own way. Stick with trusted friends. The Moon is void of course from 10:18 pm until 4:43 am EDT Today’s color is pink. The Moon moves to Taurus at 4:43 am. Taurus Moon will align with Venus and Mercury in Cancer and that’s a plus for conversing, deciding, and communication generally. It’s a warm day for friendships, love, and family relationships too. The Sun square to Mars will spark discussion of what’s fair though. Seek more balance and do your fair share at home and with family. Get grounded in home, garden and building projects under this Taurus Moon, a sign of stability. Today’s color is blue. Saturn is direct, finally, following a retrograde in Scorpio since March 2nd. Pressure may be alleviated soon in difficult and frustrating matters and mental and physical health issues. Put effort into things you have just about given up on, not just today but in the weeks ahead. Take pleasure in simple things today. Use all your senses. It’s a good day to entertain. Wear brown today. Full Moon in Capricorn on July 12, 2014 at 7:25 am is one of building and strengthening. If this Capricorn Full Moon was human, he or she would be a constructive thinker and a doer interested in proving her abilities and succeeding. He/she would be of pitta constitution in ayurvedic terms. As a person, this Capricorn Moon might be coming out of a dark or complex time, winning a battle with depression or a health matter, and might be a bit hard on himself even with the future looking bright. During this Full Moon, it would be natural to finish an important project or to move into the next phases, building on a foundation already set. In personal, family and long term relationships that have been tumultuous, things are crystalizing one way or the other and as the Moon wanes and Saturn, Capricorn's ruling planet, moves direct on the 20th, some issues will be put to rest once and for all, with final decisions solid and strong. The cardinal cross in Capricorn, Cancer, Aries and Libra is breaking up this month, and that is good news! Frustrations, even if present now and this weekend, should wane with the Moon, making way for a gorgeous Leo Moon conjunct to Jupiter on the 26th. Your most persistent problems can take a hike as you kick them out of your life and your mind. The end of July is even better than your usual New Moon for fresh starts and clearing negative, cloudy, or uncertain energy! Getting back to Full Moon in Capricorn Saturday, it's flanked by Mars in Libra and Uranus in Aries and there are challenges to be once again confronted. You're likely to know what they are because they've been recurring since last October, through the holidays, and during spring. Jupiter is across the zodiac about to leave Cancer, and Cancer/Capricorn relationships in particular may find "just right" growth, not too quickly and not too stalled. That may apply to other signs as well since those with Cancer and Capricorn rising, Moon and Venus experience this too. Capricorn is the sign of the skeletal system, the knees, the teeth and bones. Take extra care. Do not overdo or put strain on old injuries. If aches and pains flare more now, suddenly, this may be a deeper healing time so take it easy. 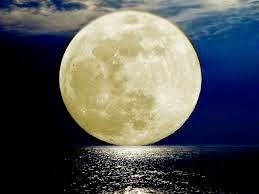 Full Moons do amplify, increase swelling and remind you of places that have been scarred. Retracing injuries from the past is an interesting phenomena that I have personally experienced with a concussion. Do alleviate stress on the body and avoid situations that cause mental stress which contributes to physical pain. Also, if it's not an emergency, wait it out for a few days while the Moon moves into Aquarius and Pisces because the "swelling" may go down on it's own. Here's a list of some things favored to act or decide on: building plans, construction, medical advice (treatment such as surgery is better timed away from Full Moon), finalizing a business decision, closing a deal or continuing to negotiate for a better deal, ending a toxic relationship, easing up on too much perfectionism, changing up your exercise plan and including strengthening activities & weight bearing (ease in) and doing easy yoga like legs up the wall. The main idea is to strengthen the weak spots! Identify the weak links and reinforce! Take something solid and build upon it. The Moon and Saturn in Scorpio is a monthly occurrence. Revisiting business and challenges, related health, addictions or compulsive feelings, old injuries, anything related to older relatives or people you're responsible for, and dealing with authority figures is in today's forecast. The process may linger into tomorrow. It can be truly worth facing these challenges since Saturn is moving direct on the 20th and this is a good time to form a plan, go back and get wise advice or additional information to help with a decision. Relationship status changes are in the personal realm too, especially for Gemini, Aquarius, Sagittarius and Leo though all signs may be included. Venus sextile Uranus leads to flirtations and also to news about couples and partners. Announcements may be startling or very happy, but tend to come by surprise. The Scorpio Moon is harmonious with the Sun, Pluto and Neptune. Creative impulses arise! This may also be good for business plans and investing. Tonight has some heavy or serious energy. Be intentional. Something you think is funny or exciting may not hit other people the same way. Don't be surprised if there's a grim face or two in the crowd or pressure to perform or finish important tasks asap. Today's color is black. Tuesday is very much a continuation of Monday. The tide is rolling in toward a Saturday Full Moon too. Be deliberate, conscious and conscientious for best and smoothest times. The boss or parents and other people you answer too may be more demanding than usual. The Cancer Sun and Jupiter are dominant forces with this Scorpio Moon. They work together to bring up strong, sentimental, nurturing and maybe also defensive or protective feelings and actions. We'll go all out to protect what we care about. One effect of the Sun square to Uranus is developing news about relationships, family changes, and leaving or returning home. Now that Mercury is direct, decisions that were on hold may be made more readily, contributing to announcements and movements. Progress for one person can be sad or detrimental to another. Mixed feelings will prevail today and tonight. The Moon is void of course from 6:32 pm to 9:24 pm EDT and then scoots into Sagittarius. Trying to escape obligations and responsibilities may be tempting tonight and tomorrow. Tonight, Saturn says that's not a wise idea since you'll pay later. Tomorrow, wanderlust will be strong so consider that tonight and form a plan (or wing it since the Moon is in Sag and we don't follow through with plans so well). Today's color is red. The Moon and Neptune square in mutable signs, Sagittarius and Pisces. Getting a commitment or agreement made is unlikely. We'll want to go our own way and forgetting or ignoring what's on the calendar is common with these signs involved. It's a good vacation day. Escape the usual routine or surroundings. Get lost in your own creative or personal work. Take the ferry or ride a horse (for example!). Let go of expectations and try not to nag. It won't get you far today. The Full Moon is looming so you might be pressured about a deadline. Try to carve out time for that as well as some time to float, wander or fly. No shows might be a problem. Improvisation is called for. Today's color is light blue. Full Moon warmup is here by now. The Full Moon in Capricorn has some challenging aspects, however, it's a strong Moon for building and strengthening. What can you do to reinforce the weak spots? Line up support for yourself or your plans. It's a business like Full Moon and you want to show tangible results even if they're not completions. Mercury retrograde, and Saturn too, have imposed delays and new information or people stepping in now can lead to better and more expedient process. Make your best efforts and let someone know if the job can't be completely done but it's in the works and moving at a good pace, finally. The Sagittarius Moon is good for exploring ideas, places and potential plans. Mars in Libra favors truth and justice today. Make a legal agreement or have a conversation about what's fair and fits your philosophy of life. Be true to yourself. Venus and Mercury both oppose the Moon and I suspect many of us will be facing trust and honesty issues. In relationships, especially Gemini and Sagittarius and secondarily Aquarius, Leo, Libra and Aries have conversations that lead to the core of the matter. Finalizing decisions is one result. The Moon is void of course from 8:19 pm to 11:24 pm EDT and then moves to Capricorn, this month's Full Moon sign. Today's color is navy blue. The Moon aligns with Neptune in Pisces and meets Pluto in a monthly cycle. Combine structure and discipline with out of the box thinking. It's a business day, either personal or work. Deal with personal situations practically and take drama or unproductive emotion out of the mix. Look at a situation and problem solve realistically. Make effort to start, finish or show significant progress. Doers and dreamers can work well together on a day like this. Team up with someone who has a different style or approach. Due dates must be honored or explanations should be given. Don't let the weekend pass by without an honest answer or face to face meeting if that applies to you. Pluto brings up deep or past things for another pass. Face it and put it to rest if possible. This is a recurring chance, but during Full Moon a resolution makes sense. Make it a sensible one. It's not really a party Friday night. Stay close to your comfort zones. The Moon is exactly Full early tomorrow morning so consider this Full Moon night. Today's color is green. Do what makes you feel most grounded and stable during this Full Moon weekend. People may be confrontational, which is not always bad but can lead to arguments or worse. Use your instincts about what to bring up or leave alone. If in doubt, maybe let this weekend pass by without aggravating any person or situation. It's kind of a bees nest so decide if you can deal without getting stung or swarmed. Think back to Christmas/New Years and even to the 4th of July and see how things from those times are at work now. Use good judgement. Mars insists we play fair. Uranus is the catalyst for new news, some of which will produce anxiety or reactions. Jupiter is across the zodiac with a final impact in Cancer for growth and healing, particularly for Cancer and in families. But it's not a piece of cake. It's a good day to bake a cake though! And it's a great day for physical exercise yet we must not overdo! This is the Full Moon of teeth and bones. Protect them. Know your limits. Do business fairly. The Moon is briefly void of course from 9:56 to 11:07 pm EDT. Today's color is white. The Moon is in Aquarius. The vision and stability this Moon sign provides is positive for moving from the Full Moon phase, slowly. A sense of community is important today and tomorrow. Mercury moves back to Cancer where the retrograde phase in June started. Mercury is direct and revising, changing, cleaning up, and clearing up confusion is in the 4cast all week long. Getting things back on course and seeing progress is the goal. Venus and Mars align happily in Gemini and Libra. This is a social, extroverted influence. Love and friendship are both favored. Gemini, Libra, Aries, Sagittarius, Aquarius and Leo may feel the effects most, but it's good generally for improving and enjoying the people around you! Today's color is turquoise.